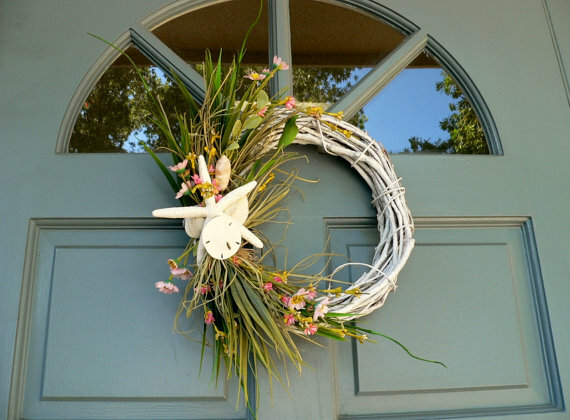 Crafters prepare to Eat, Drink and be Merry this Weekend! Breakfast will be provided by Sam’s Club on Saturday and Sunday 7am. Pot Luck dinner will be Saturday Night following the show in the Crafter’s parking lot. This week is a Mexican themed but crafters can bring whatever dish wish. 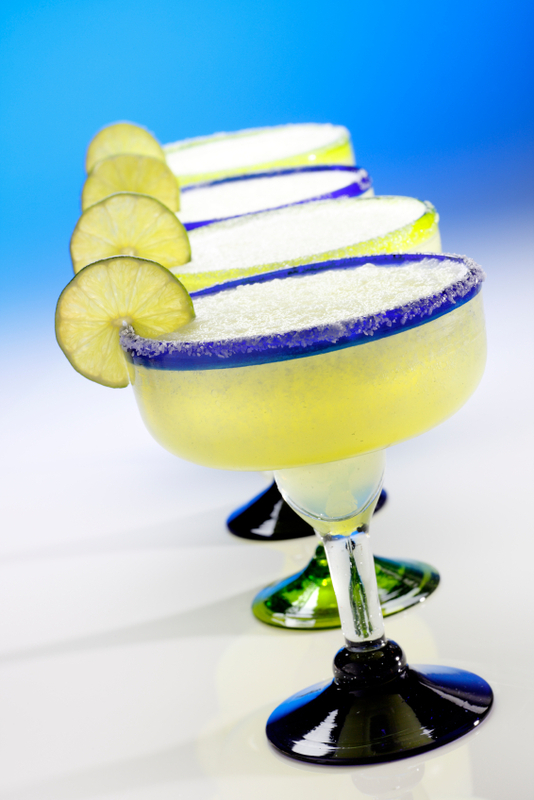 American Craft Endeavors will be providing Margaritas, wine, water and soft drinks. American Craft Endeavors invites you to join us this weekend at the 16th Annual The Villages Craft Festival (Lake Sumter Landing). 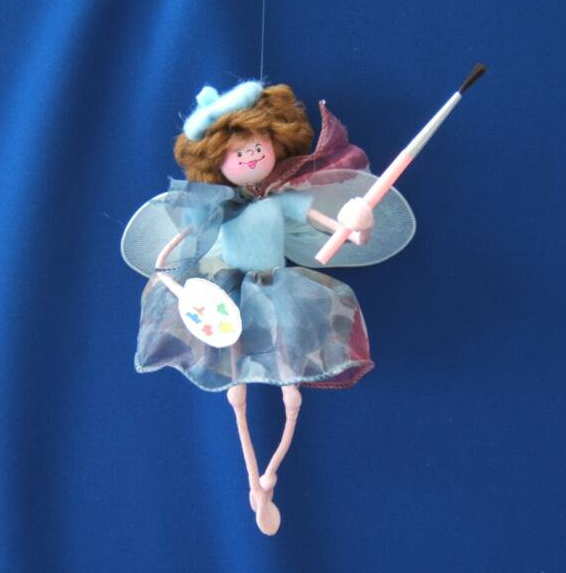 The Craft Festival will run Saturday and Sunday from 10 am to 5 pm both days. You will find a wide variety of the country’s finest crafters displaying their wares. Our Arts and Craft Festivals are a wonderful place to find unique home decor pieces for your home. Create a home environment that reflects your personality and get the opportunity to meet the artist at our festival and you will have a wonderful converstation piece when you are entertaining your friends and family. Our crafter spotlight is on Annie Gray, originally from St Louis Missouri and now a resident of the beach community of Treasure Island, Florida. 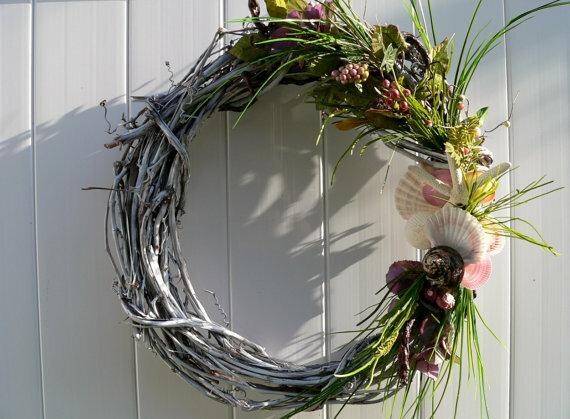 Beachy Wreaths by Annie Gray-Annie combines natural elements such as local shells and silk sea grasses with grapevine wreaths creating a coastal chic look that would make any door inviting. 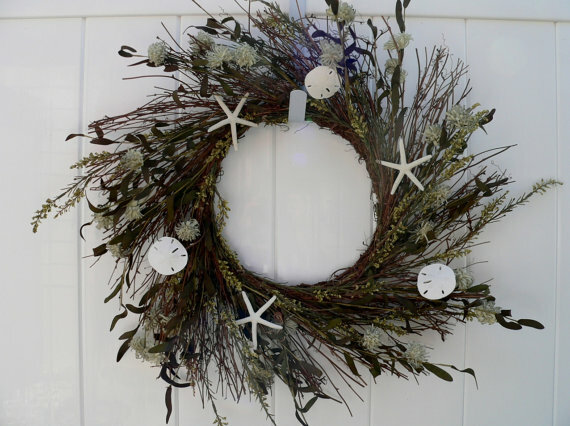 This wreath is quail brush with silk sea grasses and paper/silk poms and white pencil starfish and white sand dollars. She individually places each leaf and grass to create this beautiful piece of art. 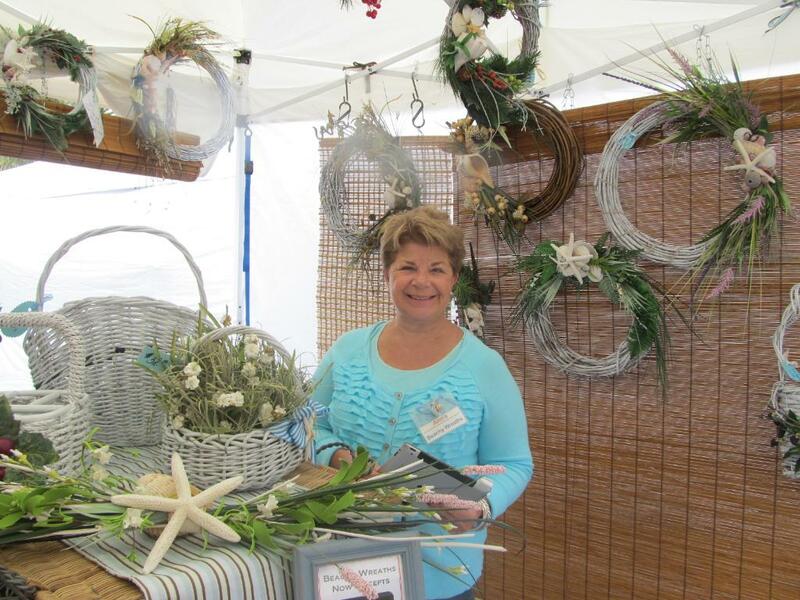 Come out to the Craft Festival this weekend and meet Annie Gray and take a look at some of her beautiful wreaths. 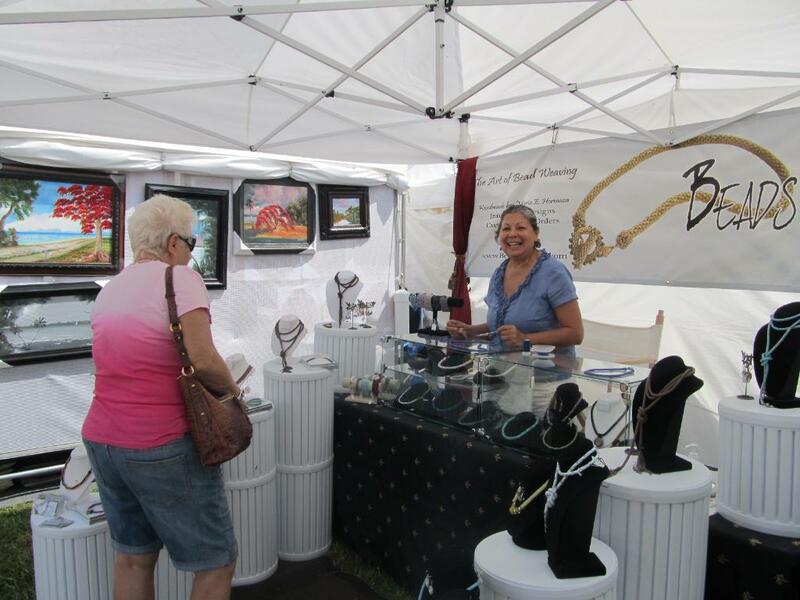 This weekend (January 7th & 8th, 2012), American Craft Endeavors is proud to present 11th Annual The Villages Craft Festival at Spanish Springs in The Villages, Florida. Times are Saturday & Sunday 10am-5pm. Admission is free and open to the public. The navigational address is: 1181 Main Street, Lady Lake, FL 32159. 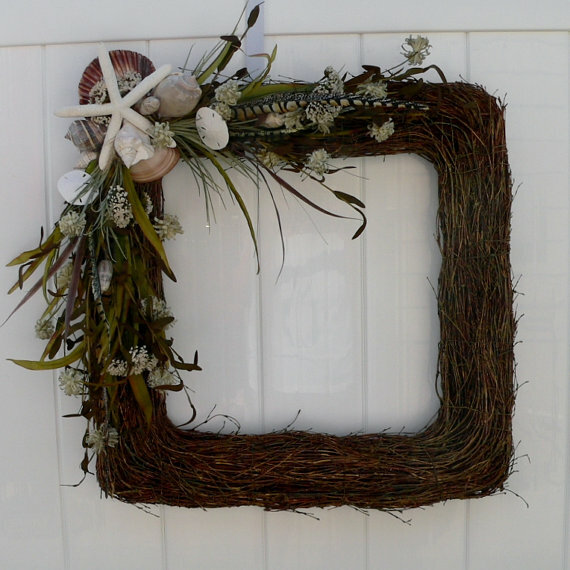 The first crafter we would like to introduce to you is Rich & Linda Gehris. 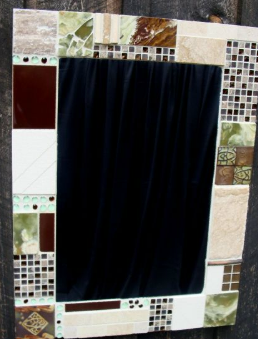 Rich & Linda’s company, Gehris Tile, not only displays the latest trends in the industry but also has a great selection of the traditional tiles. From the setting materials to the grouts to the sealers, the quality is there. Whatever your needs or budget, interior, exterior, bath, kitchen, sunroom, porch we can design and install your project. You can see more of their work on their website HERE. Next, we would like to introduce to you Bill Hinchliffe. Bill has been shooting nature as a hobby for 25 years. His “regular job” kept him on the road all over the US and Canada for most of his adult life. 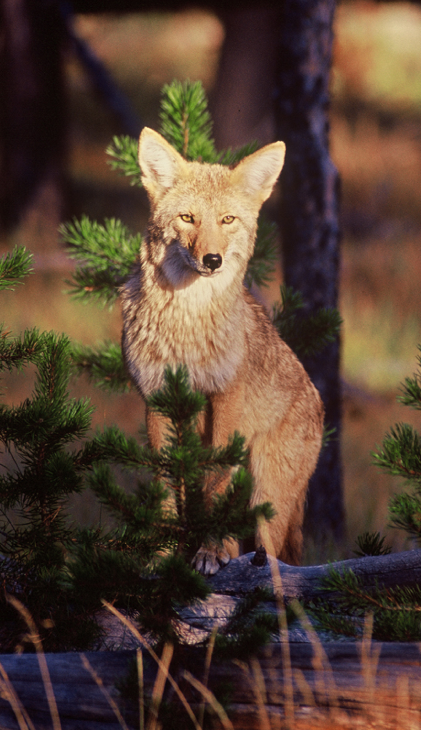 This created opportunities to visit countless parks, refuges, and habitats, to collect a wide variety of images that represent a good portion of North America’s wildlife. It’s absolutely amazing what he has been able to capture! See more of Bill’s work HERE. Last, we would like to introduce to you Chris & Nancy Adamo. Chris & Nancy create unique hand-crafted jewelry. They have several collections, including: “Yoga Inspired”, “Ocean Inspired” & “Inspired Jewelry” showcases. You can see more of their beautiful work HERE. You will meet these crafters mentioned above along with almost 200 other crafters from around the state of Florida and the United States. 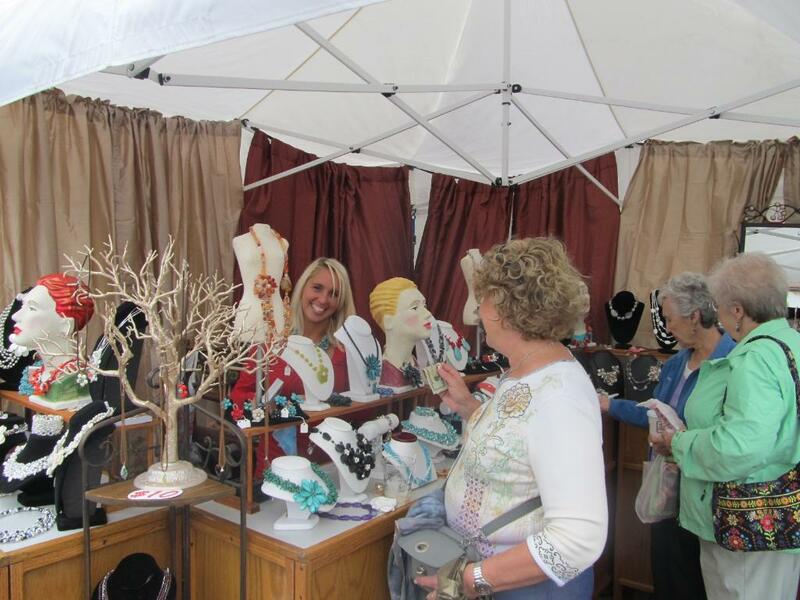 Do you have something to say about The Villages Craft Festival? Join us in the conversation on Facebook & Twitter! 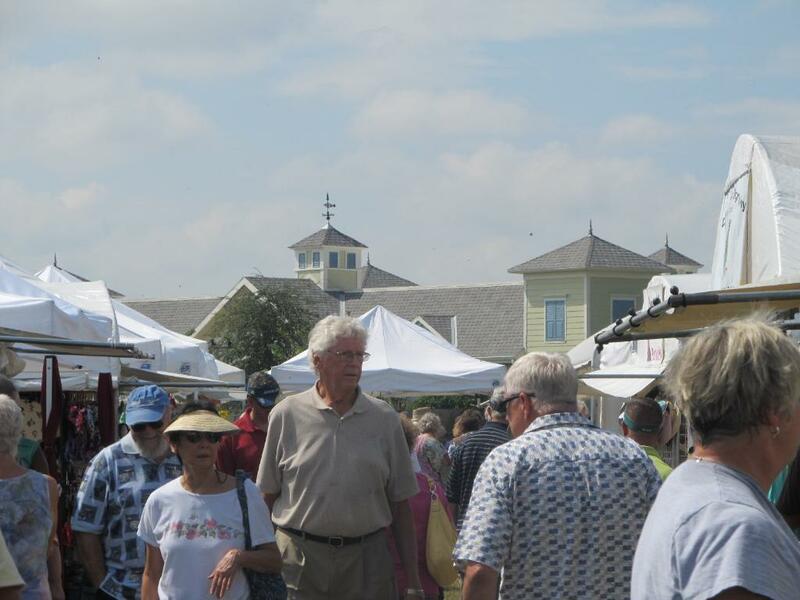 Did you join us this past weekend at the 15th Annual The Villages Craft Festival? Where did you purchase from? Who was your favorite fine crafter? We will be back in The Villages on January 7th & 8th, 2012 – so make sure you mark your calendars! This jeweler was very busy! Show support to your local artists! If you have any questions, please don’t hesitate to contact us at 561-746-6615 or info@artfestival.com. 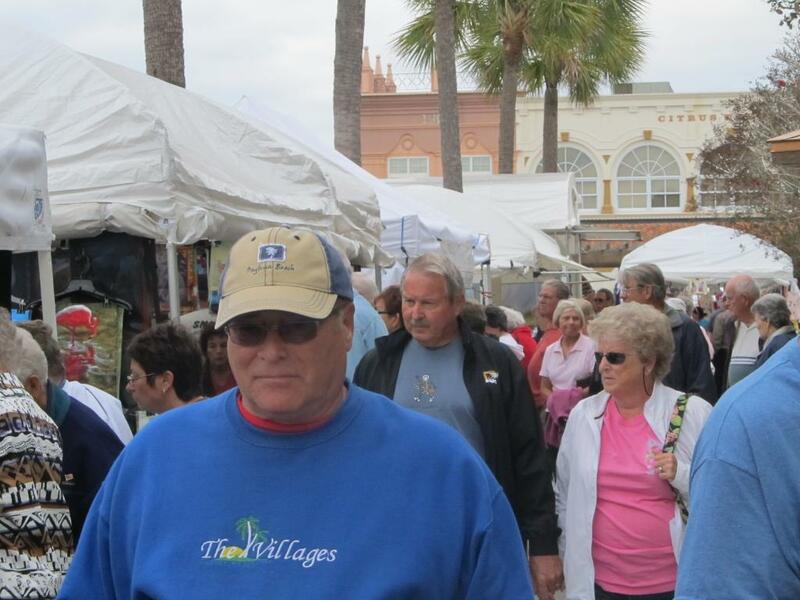 This weekend (November 5th & 6th, 2011), American Craft Endeavors is proud to present the 15th Annual The Villages Craft Festival in The Villages, Florida. Additionally, admission is free and open to the public. Times are Saturday & Sunday 10am-5pm. The navigational address is: Spanish Springs Town Square – 1181 Main Street, Lady Lake, FL 32159. First, we would like to introduce to you Barry & Jane Hye. Barry & Jan were teachers in New York, and now they have been retired for the last 10 years living in Central Florida. Barry continues his love of teaching as a sub in the Lake County schools. Jane keeps busy by creating new designs. Together they continue to sell their whimsical creations at about 20 shows a year. You can view some more of their work HERE. Next, we have Mary Jo Neidow. 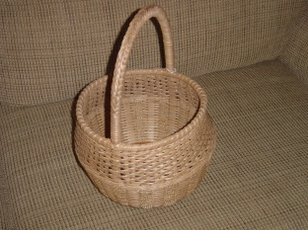 Mary Jo creates beautiful baskets with the most intricate details. Her product would be perfect for any gift, whether you are starting early on your holiday shopping or need a birthday gift! You can see more of her designs HERE. The final crafter we are going to introduce to you today is Joe Taylor. 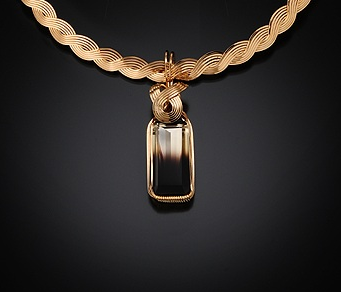 Joe creates women’s jewelry from 14K rolled gold wire or sterling silver wire using only hand tools. 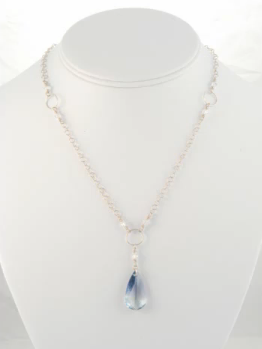 What sets him apart from other wire jewelers is that he incorporates semi-precious stones in his designs, giving the customer a wide variety of colors and styles from which to choose. You can learn more about Joe HERE. You will be able to meet the crafters mentioned above along with over 100 other fine crafters from across the state of Florida and the USA. If you have questions about this event, please give us a call at 561-746-6615 or email us at 561-746-6615. 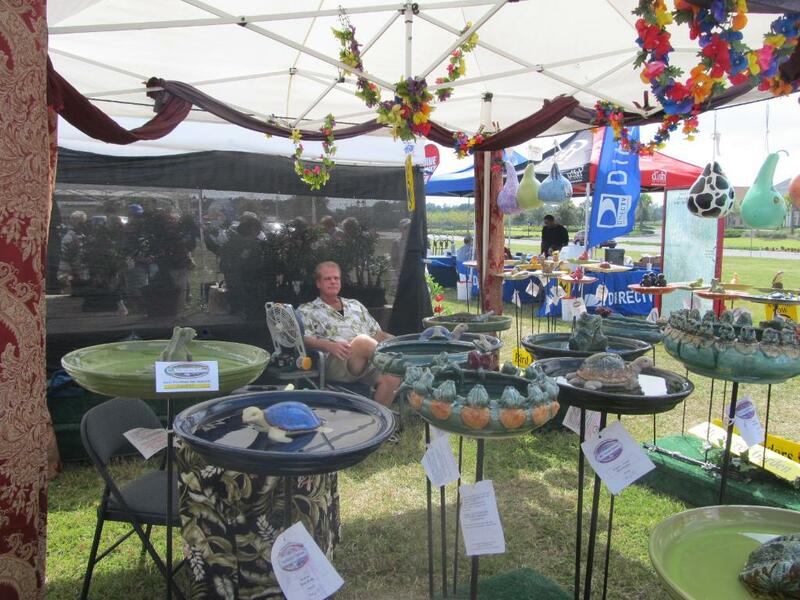 This past weekend, American Craft Endeavors had another stellar show at The Villages, Florida. Did you attend the craft festival? What was your favorite part? Who was your favorite crafter? Maria Hormaza, who hand-makes one-of-a-kind jewels (www.beadsroyale.com). You can view more pictures from the weekend HERE. Don’t forget – you can contact us anytime at 561-746-6615 or info@artfestival.com.